The Village of Virden Election will be on Tuesday, March 6, 2018 at the Village of Virden Community Center, 110 Richmond, Ave. Virden, NM 88045. 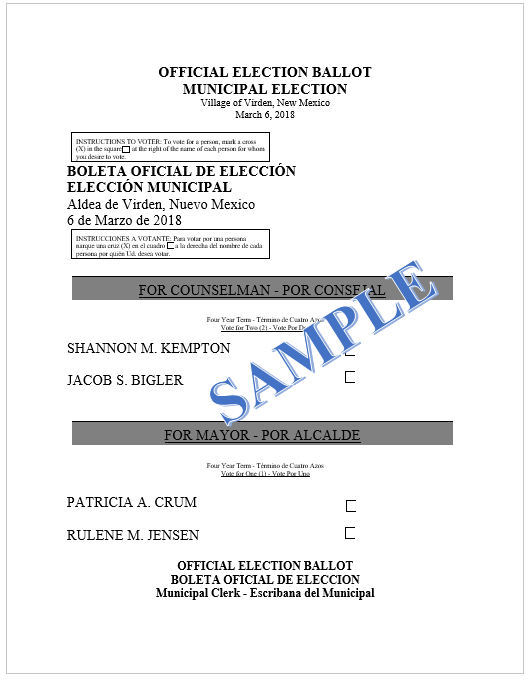 Please review the following Sample Ballot to see the candidates up for Election. 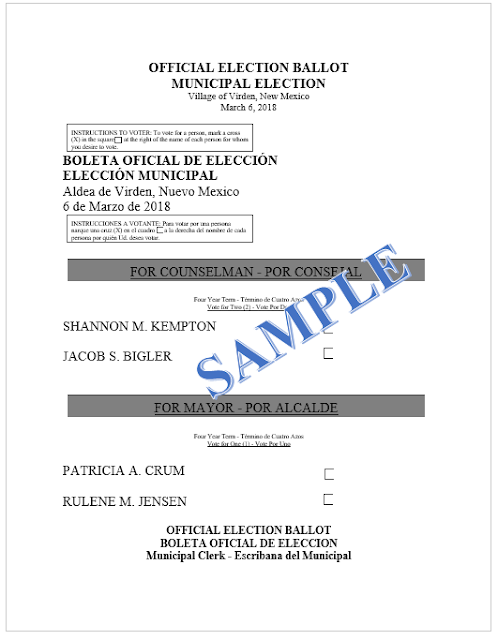 Note that you will vote for two Council Members and one candidate for Mayor. A Welcome and a Thank you to our Town Council!